Burj Khalifa is the world’s tallest building and a must-see for visitors to Dubai. Bring the curtains down on 2018 with an amazing active vacation to Dubai. It’s that time of the year, when you want to treat yourself for all the hard work you’ve put in throughout the year. If you are looking for a vacation full of fun with luxurious offerings and adventurous experiences, then Dubai is just perfect. A favourite vacation spot amongst the rich and famous, this is a city packed with thrilling experiences and adrenaline fuelled activities with a dash of uber luxury. 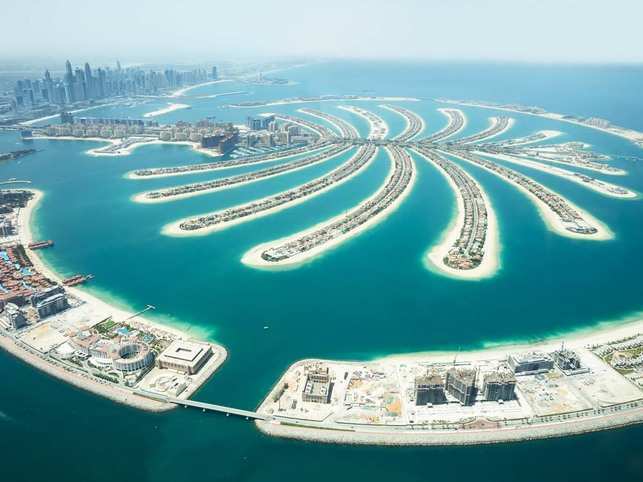 Read on for some of the finest luxury and adventure experiences Dubai has to offer. Extending a full kilometre from a height of 170 metres to ground level, the XLine Dubai Marina features an incline of 16 degrees and reaches an average top speed of 80 kilometres per hour. In addition, the Superman style harness gives you the sensation of flying as you zip over Dubai Marina, offering the ultimate adrenaline rush. The premium Luxury Desert Safari offered by Platinum Heritage, allows you to explore miles of undulating dunes and clear skies. Indulge in the sport of falconry and dine like a Bedouin at a camp site in the middle of the desert. Complete your excursion with dune bashing in a luxury offroader and top it up with a delicious six-course meal. Sounds great already! Burj Khalifa is the world’s tallest building and a must-see for visitors to Dubai. Indulge in a high tea experience at the At.Mosphere restaurant, the world’s highest restaurant, perched on the 122nd floor. At Al Maha, a Luxury Collection Desert Resort and Spa, you are sure to rejuvenate your mind and body. The hotel offers iconic vistas of the sweeping plains and Hajar Mountain massif. The oasis, nestled among the lush palm groves, emerald canopies and iconic sand dunes of the Dubai Desert Conservation Reserve. Enjoy a stay or wellness therapy at the spa for an instant mood lift. For a truly breath-taking experience, take to the skies in a hot air balloon over Dubaifs desert. The adventure starts before dawn allowing you to witness a truly spectacular sight of the rising sun over the Hajar Mountains during flight. Soar over a kilometre above the desert with uninterrupted, 360-degree views over the sands. After all your active excursions, why not sit back, relax and watch an incredible performance of La Perle, a live show, that’s inspired by the spirit of Dubai. The venue uses state-of-theart technology, housing an aqua-stage complete with a 12-metre-deep pool filled with 2.7 million litres of water, with a troupe of 65 world-class performers from the world over. Unarguably one of Dubai’s most breath-taking natural attractions — Hatta Dam’s rugged landscape is ideal for hiking, with plenty of trails suited for both casual hikers and more experienced ramblers. Rent a kayak or pedal boat and soak up the beautiful landscape set against the backdrop of the Al Hajar Mountains. Furthermore, you can choose to stay back in private ‘Airstream’ trailers set amidst the mountains too.